Yarn Type Incredibly soft nylon, acrylic blend that Snuggly yarns are famous for. It comes in a range of fun colour effect shades that are ideal for babies and older children alike. 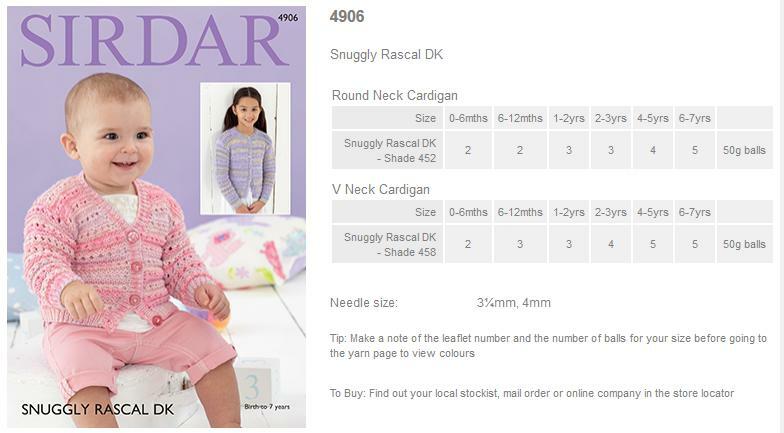 Snuggly Rascal DK is supported by a collection of adorable patterns with designs for babies and children from birth to 7 years. It is machine washable on a wool cycle and will knit to all Snuggly double knitting patterns. Warm wash, machine washable. 55% Nylon, 45% Acrylic. A collection of adorable little knits for babies, boys and girls from birth to 7 years knitted in Snuggly Rascal. This Snuggly Rascal design book uses a mixture of fab shades to create designs including sweet little patterned cardies and jackets for girls, trendy textured knits for boys and a range of the most fun hats ever, theres pompoms, flowers and even a wee willy winky hat! Theres also a collection of gorgeous blankets because even the most playful of little Rascals need to nap sometimes! 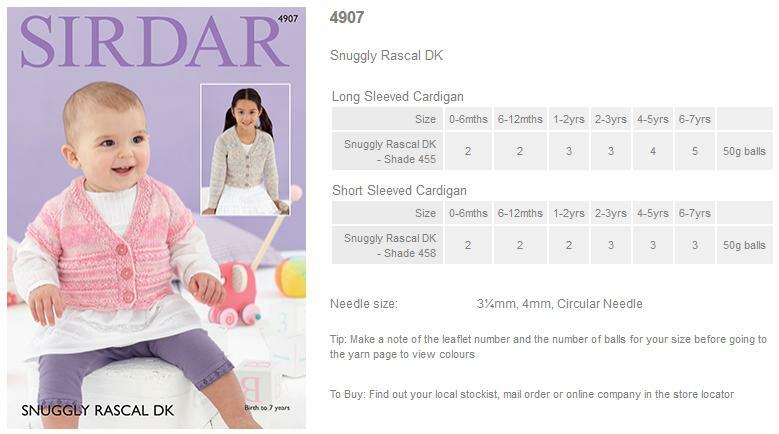 Leaflet with designs for Long and Short Sleeved Cardigans using Sirdar Snuggly Rascal DK. 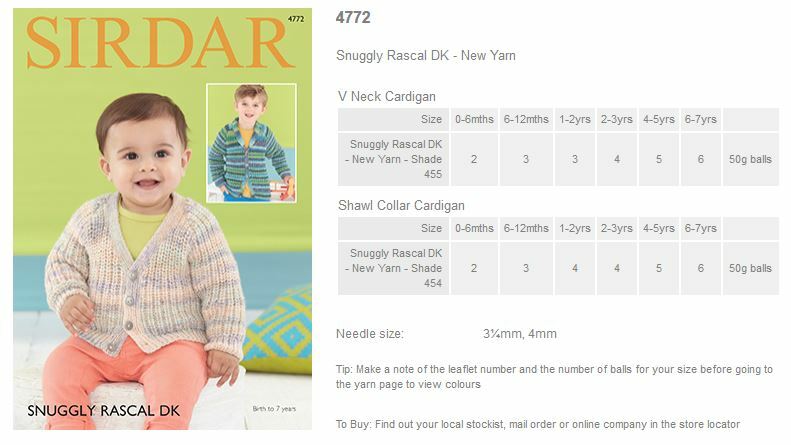 Leaflet with designs for a Round Neck Cardigan and V Neck Cardigan using Sirdar Snuggly Rascal DK. 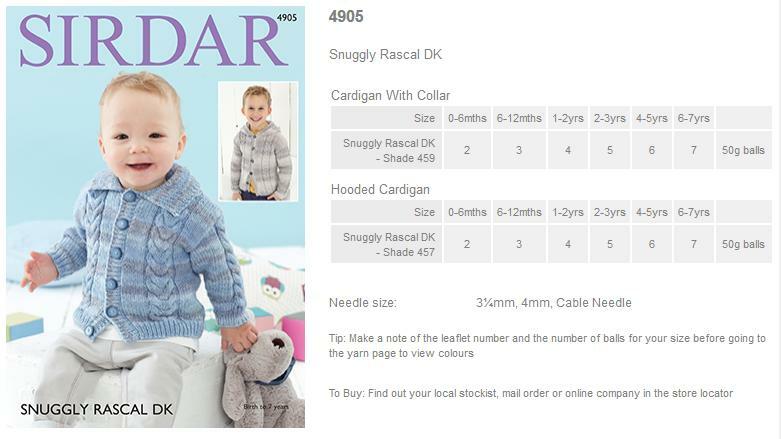 Leaflet with designs for a Cardigan with Collar and Hooded Cardigan using Sirdar Snuggly Rascal DK. 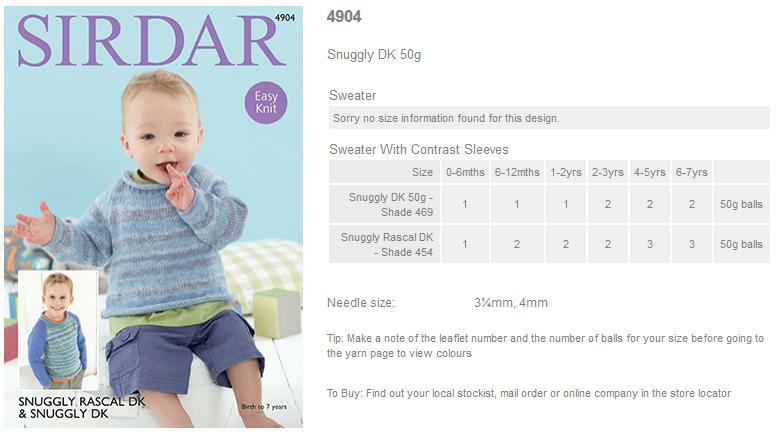 Leaflet with designs for Sweaters using Sirdar Snuggly Rascal DK. 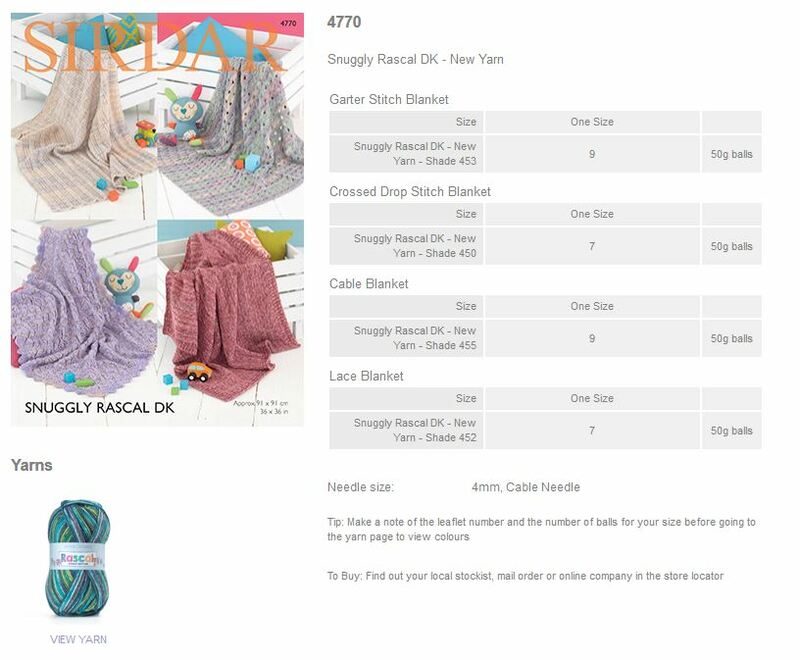 Leaflet with designs for blankets using Sirdar Snuggly Rascal DK. 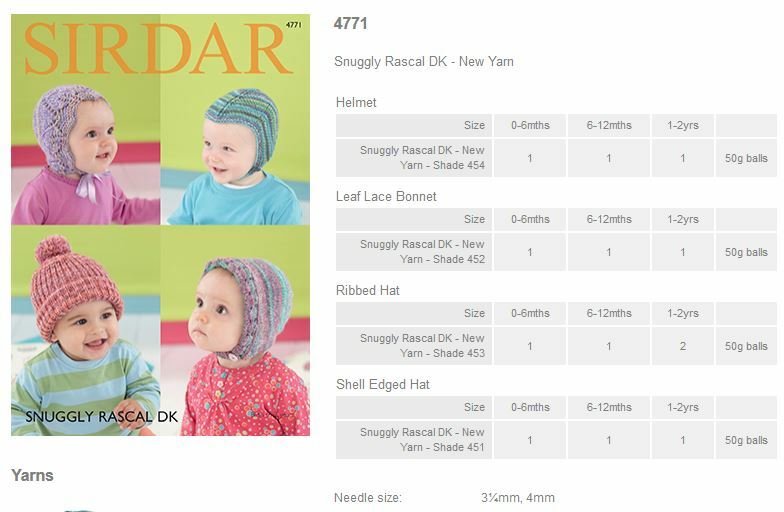 Leaflet with designs for helmet, bonnet and hats using Sirdar Snuggly Rascal DK. Leaflet with designs for a V neck cardigan and Shawl collar cardigan using Sirdar Snuggly Rascal DK. 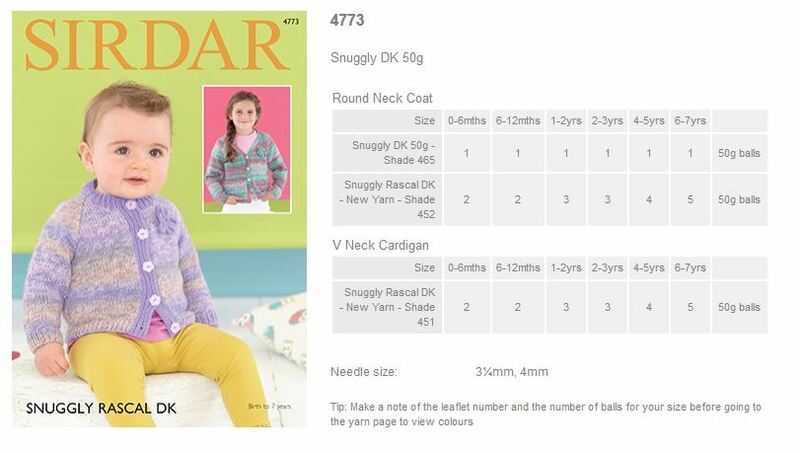 Leaflet with designs for a Round Neck Coat and V Neck Cardigan using Sirdar Snuggly Rascal DK. 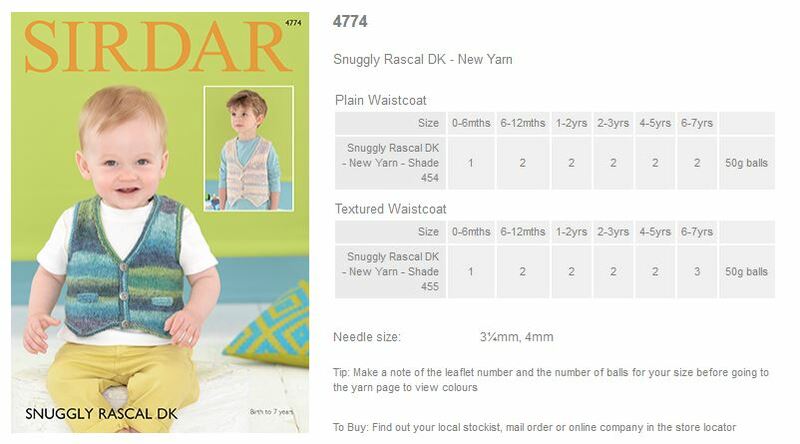 Leaflet with designs for Plain and Textured waistcoats using Sirdar Snuggly Rascal DK. 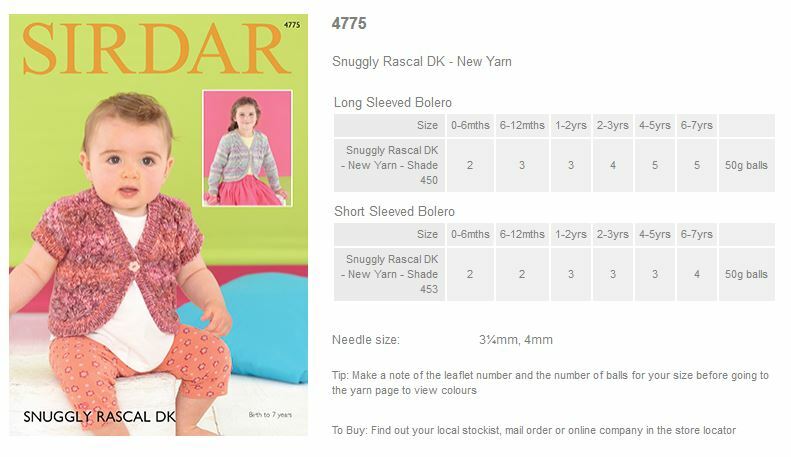 Leaflet with designs for Long sleeved boleros using Sirdar Snuggly Rascal DK.